Level two is worse. A whole lot worse. It all starts on a cold, bleak day in 1916, a mining pit in Siberia turns into a bloodbath when its miners attack each other, savagely and ferociously. Minutes later, two men – a mysterious, horrified man of few words, and Grigory Rasputin, trusted confidant of the tsar – hit a detonator, blowing up the mine to conceal all evidence of the carnage. In the present day, FBI agent Sean Reilly is tasked with a new, disturbing case. A Russian embassy attaché seems to have committed suicide by jumping out of a fourth-floor window in Queens. The apartment’s owners, a retired high school teacher and his wife, have gone missing, while a faceless killer, a rogue ex-KGB agent only known as “Koschey”–from an old Russian folk tale, meaning the deathless–is roaming New York City, leaving a trail of death in his wake. 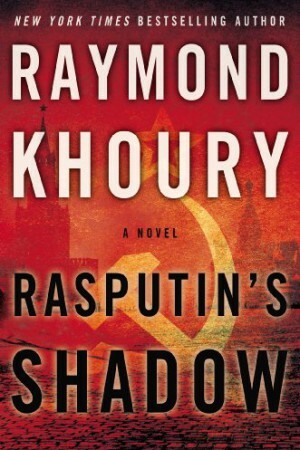 Joined by Russian FSB agent Larisa Tchoumitcheva, Reilly’s investigation into the old man’s identity will lead to Korean and Russian mobsters and uncover a deadly search for a mysterious device whose origins reach back in time to the darkest days of the Cold War and to Imperial Russia and which, in the wrong hands, could have a devastating impact on our world. "History, mystery, suspense, and action--Khoury knows the recipe for a good read." "Fine action, an engaging historical mystery with modern-day implications, and a cast of engaging characters–all in all, a thoroughly entertaining genre-bender." "A suspenseful thriller ... the rapid-fire narrative keeps the pages turning in anticipation of the exhilarating conclusion." "Khoury carries the story off nicely…this is a fast-paced, enjoyable tale."